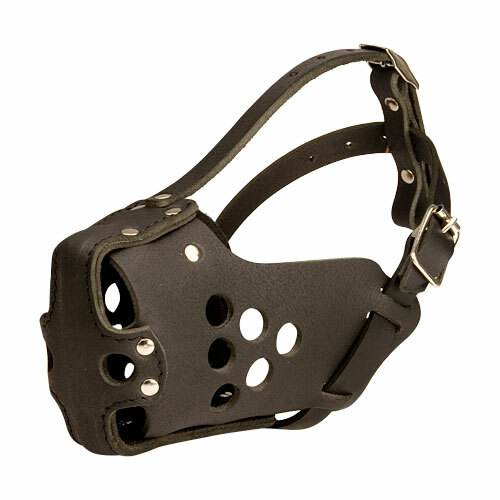 The best leather training dog muzzle of TOP Quality. 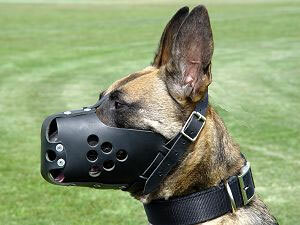 You always look for a good muzzle for training your dog? 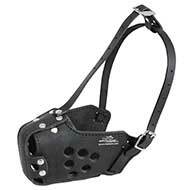 This muzzle is created specially for police and military dogs and is one of the best leather training muzzles. If you buy it, you'll see that it's true. 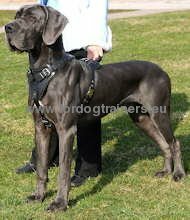 The perfect construction of the closed muzzle provides enough air during training sessions, which is especially important in hot weather. The quality of leather used guarantees it will serve you for years. 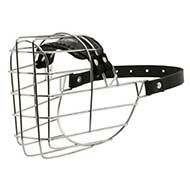 The muzzle has excellent construction and is made of high-grade materials. It is made by hand. To add strength to the product, its front part is made of two layers of leather, stitched together. All parts are fastened together with rivets. Good air circulation is imperative during dog training and when it's hot outside. 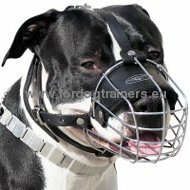 Large holes on the muzzles allow the dog to have the necessary air. 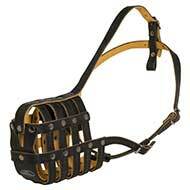 The leather straps are adjustable, durable and will not stretch. They are fastened with rivets. They allow the muzzle to not to move, even in extreme conditions during training. 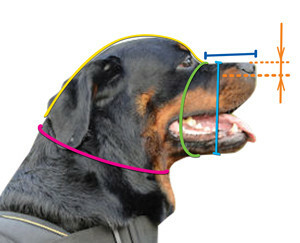 The lining at nose prevents rubbing of sensitive skin of the dog's snout. Nothing diverts the dog's attention from the performance of its tasks. 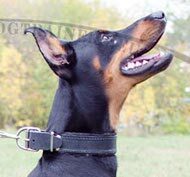 Find more solid and Practical Leather Muzzles, wear-resistant collars and other excellent products for your dog in our on-line pet store!